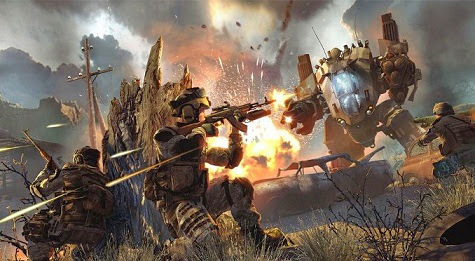 Warface is a free to play FPS video game for PC and Xbox 360 developed by Crytek, the same company famous for franchises such as Far Cry and Crysis . The game features great graphics and different game modes and four different classes and extensive arsenal of weapons and equipment. One of the biggest complaints about the game is the difficulty in making money in the game. Now, here are some useful tips that could help you get more money in less time. Generally most complaints from players about money are not the price of the equipment, but the cost of repair of such equipment. Allied to this, the rewards of completing a mission is not enough to cover the costs of repair, even if you lose the mission. Look for daily play and complete a training mission, Normal and Hard. This will earn you a bonus for completing each of these missions every day. Normal and hard missions are renewed daily, and the training every two weeks. That way, you will always come across different situations. Even on the same map, the missions will occur in different ways, providing new situations for the players. Weapons patterns, those that you get in the game, no need repair. You can complete missions easier with these equipment standards. Try to leave your more powerful weapons for the toughest fight against other players or missions. Thus, their equipment will help you win matches that otherwise would lose, while the weapons patterns will help you win more easy missions with satisfactory rewards and no maintenance cost. As a last resort, buy called "Money Boost" that will increase your rewards every mission. This solution is not the best if you are a casual player, and will only serve to actually successfully completed missions. Missed assignments will return little reward so that can barely be noticed Money boost. Try to attend one or two games PvP daily, at least. The fact is that matches PvP (player vs. player) give more rewards than missions in co-op mode, although more difficult. Obviously, the amount of money earned in these matches will be proportional to their abilities. More difficult missions that are better pay, of course.